We are preserving the rich history of bookbinding, but we can’t do it alone. We need your help. Join the American Bookbinders Museum Guild to support the story of the book. The American Bookbinders Museum tells the story of how books are made. Built to convey ideas and preserve information, books transform you. You hear it said, “the book is dead”. We say not while this museum exists. Help us preserve the story of the book! Keep this story alive. Join the American Bookbinders Museum Guild at any level. Become a charter member today! Be one of the first 50! 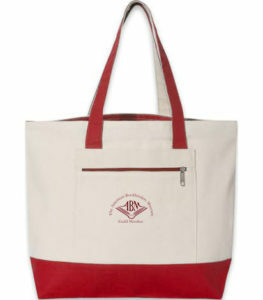 The first 50 to sign up at the Journeyman Level ($100), or higher, receive a special commemorative tote bag identifying you as a charter member of the ABM Guild. Join fellow book lovers by becoming a member today. Sign up by December 31 to enjoy your membership for all of 2019.